An anastomosis is the surgical joining of two structures that are not typically connected.It's performed during surgery and may be done to repair a defect, to make the anatomy functional again after tissue is removed, or to make treatment possible. An example of treating a defect would be repairing a blood vessel problem that was present at birth and interferes with the way blood flows through the body. In these cases, a cardiothoracic surgeon would perform a procedure that would join the blood vessels together to allow blood to flow better. Another example of an anastomosis would be after a partial colon resection. If a portion of the intestine becomes diseased, it may need to be surgically removed in order to allow the patient to better digest their food and to decrease pain. In this example, a large section of intestine is removed—imagine a three-foot piece of string and cutting out a foot of the length out of the middle—and the remaining ends must be reconnected. The anastomosis part of the procedure would be joining the two pieces of healthy tissue on either side of the resection, creating a newly shortened length of intestine for food and stool to pass through. An arterio-venous fistula, created for dialysis, is an example of a type ​of surgical anastomosis. For this procedure, a vein and an artery are spliced together, creating a larger blood vessel. This large vessel, when healed, can be used to insert the large dialysis catheter that is used to perform routine hemodialysis. 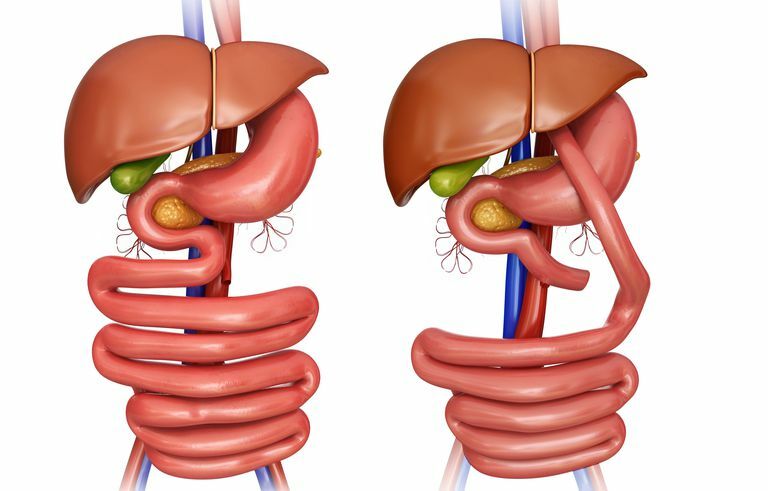 In bilio-pancreatic diversion, one type of weight loss surgery, an anastomosis is created between part of the small intestine and the stomach. This bypasses part of the intestine, effectively decreasing the ability of the intestine to absorb calories.